We are reckoned for manufacturing, supplying and exporting Wire Wound Resistors that are widely used for various industrial applications. These resistors are fabricated in strict compliance with set industry standards. Our dexterous team of professionals makes optimum utilization of modern tools, advance technology and excellent quality raw material to ensure highly efficient resistors to our valued patrons. We strictly test these resistors for quality ensuring qualitative outcome at customer's end. Valued patrons can facilitate the facility of customization from us to get the desired product as per their demands. We bring forth for our clients, A professional grade range of Aluminium Housed Resistors Molded Chassis Mount Style that provides complete environmental protection in its application. These resistors are provided with screw mounted chassis for enhancing the heat sink effect and a low-temperature coefficient for better stability. We are paramount organization engaged in manufacturing and exporting a wide range of Fusible Wire Wound Resistors that are manufactured using quality raw material procured from reliable vendors. Our team of expert manufacturers these resistors using modern tools and technology. These resistors are manufactured in strict adherence to set industry standards. 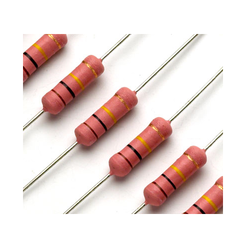 These resistors are widely used in various industrial applications. Available with us, is a high-grade assortment of Ceramic Encased Axial that is designed using Ni-Cr wire wound element on the ceramic core. 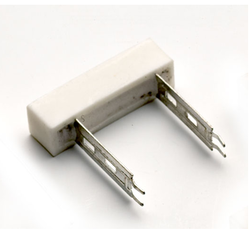 Encased in ceramic and sealed with flame proof silicon cement, these wire wound resistors are offered in the standard tolerances. C Resistance Resistors are tested with standard specified voltages for its Ohmic values to check the specified tolerance. The Resistors shall be with in specified tolerance limits. Resistance to Solvents The specimen shall be subjected Max R resistance dura Solvents Then. 0 strokes of hard brush shall be applied. The test shall be conducted 3 times. The marking shall remain legible. We are aces in manufacturing and exporting a qualitative gamut of Wire Wound Resistors- CCT Series that are manufactured using premium quality raw material procured from reliable and trustworthy vendors. These resistors are manufactured by a team of dexterous professionals using modern tools and advanced technology. 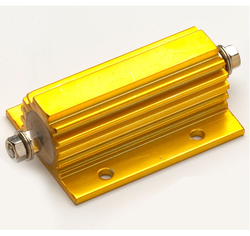 We Fabricate these resistors as per the set industrial norms and standards. We are bringing forth an exquisite assortment of Wire Wound Resistors - CCV Series that are exclusively designed for space saving on PCBs. 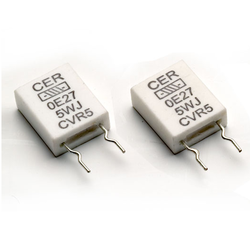 Offered resistors deliver high power as these are constructed to vertical mounting ceramic standoffs. 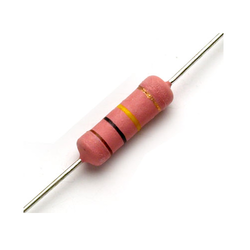 We manufacture these resistors under the guidance of skilled professionals. These resistors are manufactured in strict adherence with the industry laid norms and standards. Custom-made resistors are also available. We have gained expertise in delivering a quality range of Wire Wound Resistors - CSFR Series that are manufactured using tin plated copper or brass. 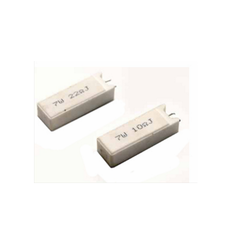 These resistors are coated with flame proof silicon ensuring high stability. These resistors are highly reliable and are well tested for quality at our technologically advanced laboratory for quality testing. Customers can avail these resistors from us in various sizes. Moreover, we also provide customization facility to provide the desired product. 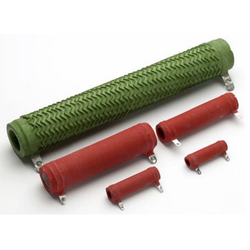 These resistors comprise great heat dissipation capacity which makes them most suitable for load banks. Customers can avail from us qualitative gamut of Wire Wound Resistors-CVF Series that is encased in slim ceramic case and comprises NCR ribbon element. These resistors are manufactured by a team of Expert professionals making use of modern tools and advance technology. We manufacture these resistors in strict adherence with set industry standards. Offered resistors can also be customized as per the needs and requirements of our valued patrons. We are an esteemed organization engaged manufacturing and exporting a wide range of Wire Wound Resistors - CSIA Series. The entire range is manufactured using Ni-Cr wire wound element and is also coated with heat insulating flame proof coating. Highly suitable for energy meters these resistors are demanded worldwide. We manufacture these resistors in complete adherence with international norms and standards. Solder ability A solder bath is maintained at 23° C. The specimen leads are immersed in the bath & withdrawn within 3 sees. A suitable flux is used during the test. Afresh solder shall cover the specimen leads by Min. 95% coverage. Resistance to Solvents The specimen shall be subjected to 1 PA for a duration of 1 min. 0 strokes of hard brush shall be applied. The test shall be conducted 3 times. The colour code marking shall remain legible. Looking for Wire Wound Resistors ?